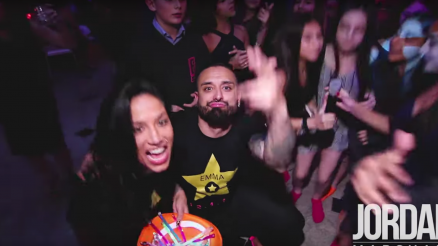 Today, we find there is a standard or “traditional way” of celebrating a bar/bat mitzvah. With each simcha, it is always recommended to include things such as a zap photographer, photo booth, montage and even stages. Each part has its own unique way that adds to the overall event whether it is creating a cooler atmosphere, creating a moment or having something to always look back to this special night. We wanted to share some of our own ideas in this blog with you the reader. Xplosive Entertainment can help not only to elevate your next BIG DAY, but we can also make it creative and stand out from the pack! If you are stuck between a band or a DJ, we have the perfect option for you. What is truly amazing about mixing live music with a DJ (Band/DJ Hybrid) is they both serve a purpose and will exceed the expectations of every guest. 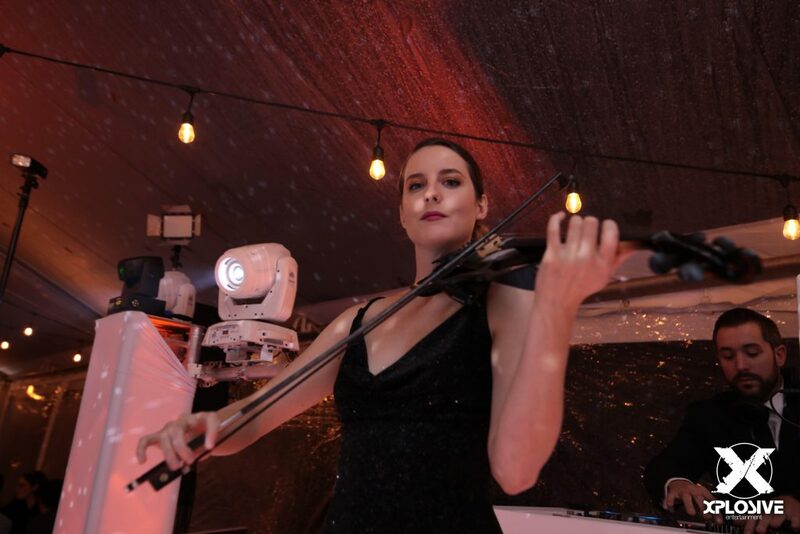 The live musicians and DJ simultaneously work together to create the ultimate in event entertainment. Combining live sound and DJ together offers the best of both worlds to any client looking for a live musical sound with the traditional sound of the recorded track. This combination will absolutely amaze your guests! Every day, techno logy continues to WOW us as it becomes more and more advanced in the event world. As we all know, photo booths capture some of the best and funniest moments with your family and friends. This is something so precious that you can take home to have for your “forever memories”. What if we told you there is something better than just a picture…? Something we love to incorporate into our events is our 360-photo booth. Better than a picture, it captures a 15 second video of your surroundings while you and your friends are having a blast on the middle platform. Not only is it fun, but it is convenient. Instead of taking the risk of losing a picture to take home, this video immediately gets uploaded and sent to your phone. You’ve seen it in the movies and on TV: A frozen moment in time shown from 360 degrees. Now your guests can be a part of the action at your next event with our multi-camera photo experience. This can be considered one of the most interactive and trendy additions for your next BIG event! 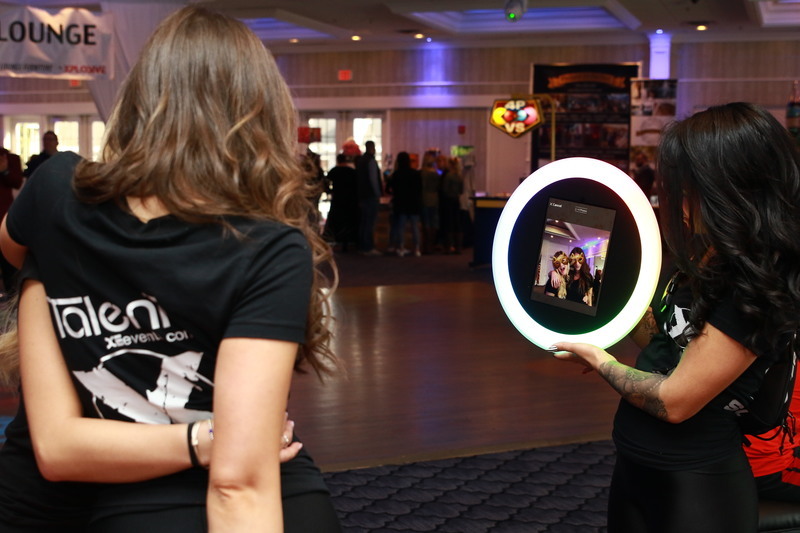 What is awesome about having an LED robot at your affair is how you can use this strategically throughout your party to keep the energy high and keep people on the dance floor. The two most common times to bring the LED robot out is either during grand entrance or the last hour of your party. Why these two specific times? During your grand entrance, you want nothing but high energy, everyone on their feet making noise! 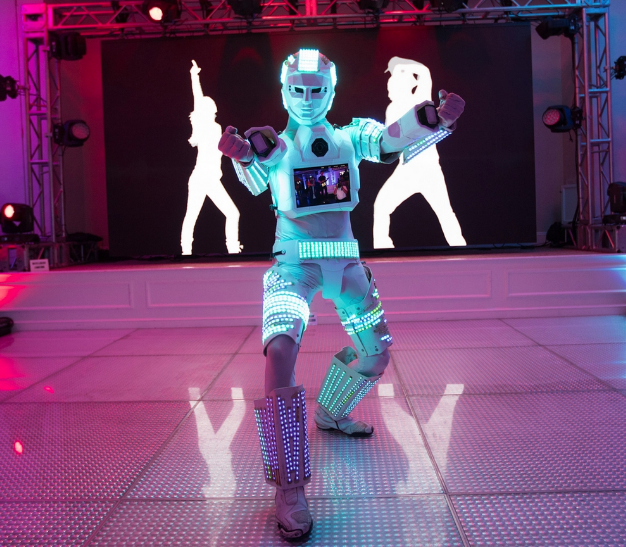 Incorporating the LED robot helps bring the crowd to that level to help get the party started. We also recommend bringing out the robot in the last hour of you party to help keep people interactive and on the dance floor. Usually toward the end of the event, people begin to wind down and say their goodbyes. Let’s try to avoid the party ending early and keep everyone dancing until the very end with this one of a kind WOW factor!